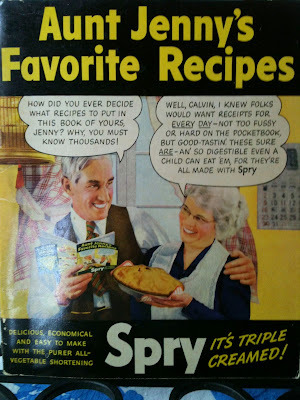 A History Writer in the Kitchen: Aunt Jenny's Favorite Recipes [with Spry], 1937?? It's even funnier because throughout they apparently thought they were being friendly by making their -ing's into -in's, as in the cartoon above and in "makin' frostin'" -- and also by using words like "humdinger," which apparently was only invented by about 1890. Speaking of dates, then I wondered when it had been made. 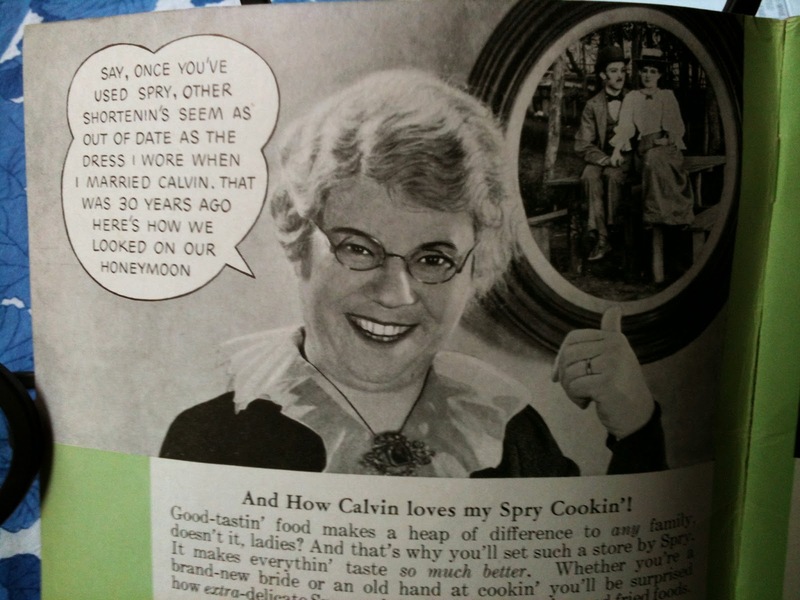 There's no date, though it is mentioned that it's from Lever Brothers out of Cambridge, Massachusetts. (They eventually became Unilever.) Here are some clues -- how people dressed "30 years ago" and how people decorated their living rooms. I looked up the product and think this book is possibly from about 1937; Spry was started in 1936 as a big competitor for Crisco, and the book mentions "another shortening" without naming them but as if Spry were new. 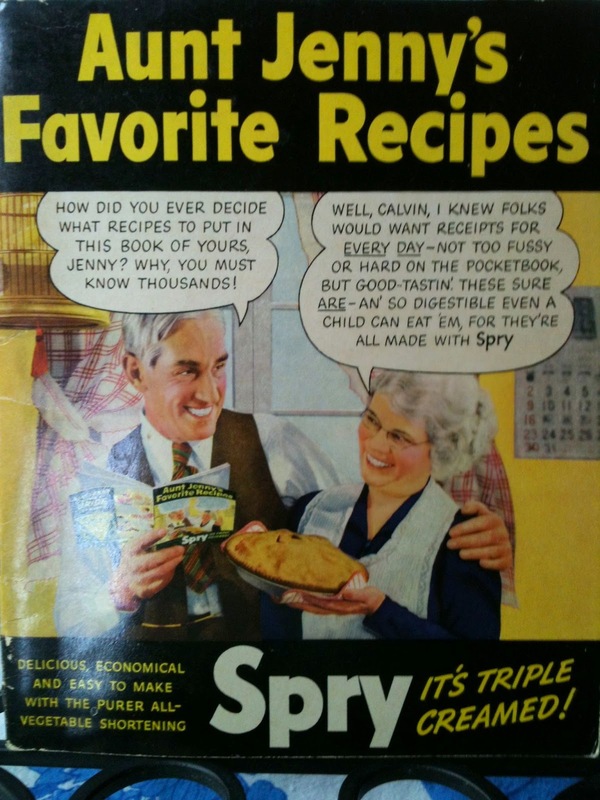 It's interesting that the book/manufacturer claims to have invented drop cookies, "a new way to make cookies." It's also interesting that it claims that unlike other fats, this one is so easy to digest that "even children" can have desserts! 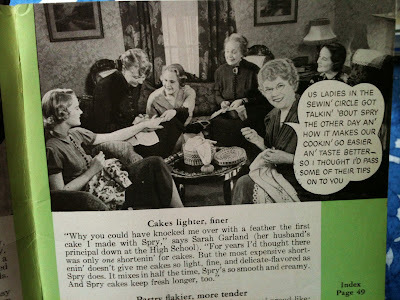 I wonder what the poor darlings had before!